For many people the traditional route of applying to their own bank will be the first avenue when considering a loan. But with a wider range of lending options now available to borrowers, choosing a lender who will provide the lowest interest rates may take more research. The loan market is ever expanding and there are now more loan options available to consumers than ever before. Simply placing the word “loans” into an internet search engine will bring up a hundreds if not thousands of different lending options. Choosing your loan lender is now not simply a case of returning to a lender that you have used before. Researching your lending options should guarantee that you will find the lowest interest rates available for your particular budget. This is by no means a definitive list, but these are the most popular lenders on the market and each will have their own benefits and disadvantages. Choosing the right lender will start with one simple rule; if you have a good credit record choose the lender offering the lowest interest rate. The less interest you pay on a loan then the more money you will save. This rule may not apply to long term loans where you may have a low interest rate but may pay more due to the length of the loan. Although interest rates should be a key factor in choosing your lender there are other issues to consider. Good service is a selling point and there are good and bad lenders. If you do your research on the internet there are sites that have conducted polls on good and bad lenders. These polls were taken from a wide range of British bank and building society customers and the results are surprising. If you value factors such as good service then it would be in your best interest to check up on these polls as a reference point. Internet only lenders are very popular and can sometimes offer lower rates than high street lenders as they have fewer overheads to pay out. But unlike high street lenders you will not be able to meet an internet lender in person to discuss your loan options; this can only be done online or over the telephone. This said, internet only lenders have obtained a big chunk of the lending market and are proving to be very successful. 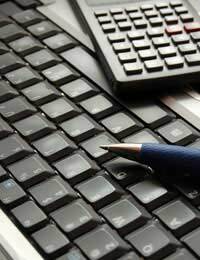 Loan comparison sites can be a useful tool when choosing your loan lender. However, they should be used as a guide and not a cast iron guarantee of the lowest interest rates available. Some comparison sites have had some bad press over their recommendations due to the fact that they have been paid to push certain companies. Always use more than one comparison site and check out different lending company’s actual website and in store loan offers. If you possibly can always avoid high interest lenders. If you have good credit record then you should not even be considering high interest lenders. If you have a bad credit record then this type of lender may be your only option if you are insistent on borrowing money. In the long run, high interest lenders will only add to debt problems and not alleviate them. In the end your credit record may be one of the deciding factors when choosing your loan lender. But for borrowers with good credit records there should be no problem obtaining loans with zero percent or very low interest rates. Shopping around and researching is always the wisest option when finding the right lender for your budget.